This is a “why-to” and “how-to” book about investing—for normal people on a normal budget. A lot of mutual funds require $3,000 or $10,000 to start. As a result, too many people never get started investing on their own. 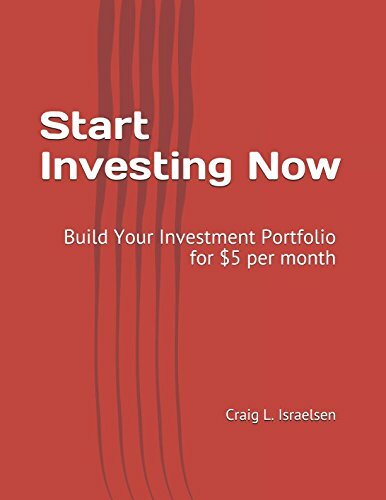 I will show you how to build a mutual fund portfolio for as little as $5 per month. You can start investing now--not later. It’s also important to talk about several behavioral aspects of investing that separate successful investors from frenetic investors, so a bit of time will be spent on the “why” of the “how”. Turns out that investing is an effective teacher of life lessons…if we do it thoughtfully. Investing is about money, and money is a magnifier. It magnifies virtues, as well as vices. Handle it with care. If money turns you inward to focus on only yourself, you will be at risk. If it turns you outward to others, you can be the source of much good.